With the Warriors heading into this Round 13 clash fresh from the bye, supporters will be hoping for a vastly improved performance from the side that coughed up one of their worst displays in recent memory against the Canberra Raiders in Round 11. After hearing reports that the players have held a crisis meeting in a bid to clear the air, allowing themselves to speak honestly and openly with each other in an attempt to put to bed whatever the underlying issues have been for recent below-par performances, one must feel that the penny has finally dropped within the playing group. I think it's a fair assumption to suggest that player power has been a long term issue within the ranks. Now that they've had a line drawn in the sand by senior figures within the club, that's hopefully sending out a crystal clear message that poor performances will not be tolerated, it may finally be clicking that throwing your toys about as a player isn't going to work anymore, you either step up to the plate or walk out the door. In years gone by, you could almost put your house on the line betting on the Warriors to win with them being in a similar position. Unfortunately, from what we've seen so far, 2016 doesn't seem to be one of those years where we ride that roller coaster and manage to bounce back like a team possessed after a poor outing. Looking at the team on paper, this would have to be as close to full strength as we can get. It's vital that our big names turn up to play tomorrow and are switched on from the very first whistle. It is critical to our performance that our forward pack earn their money this weekend, Matulino, Lillyman, Hoffman, Mannering and Thompson need to be battle ready and get over the advantage line from the first set to allow Luke, Johnson and Lolohea to work their magic. Without the ball in hands we must remember that defence is the first form of attack. Who remembers a few years back when we would drive defenders back with every tackle? We need that mongrel again! We need to see a side who trusts one another and we need to see a side that will put their body on the line, time and time again, purely so they don't let their brothers down. Our left edge gets a little bit of normality back to it with Manu Vatuvei rejoining the team after being away on medical/personal leave as well as the inclusion of Solomone Kata who returns from his week long suspension. Manu might be a man best avoided if you're in Broncos colours for this game. He'll be out to prove the doubters wrong, regain the faith from those who have lost it and will send his apology to family, team mates, fans, officials, sponsors and all those he feels he let down, the only way he knows how, by letting his footy do the talking. 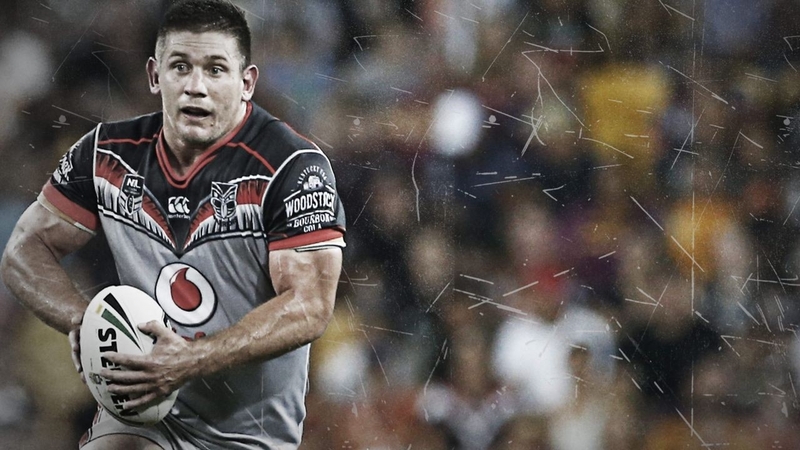 The Broncos are odds on favourites for this one but that's just how the Warriors like it. The expectations will be low and an upset the furthest thing from any Rugby League tragic's mind. The Warriors will have a point to prove in front of their home crowd and with the inclusion of a couple of superstars back into the Warriors line up and the short turn around the Broncos Origin players have been forced to face, an upset is well and truly on the cards. 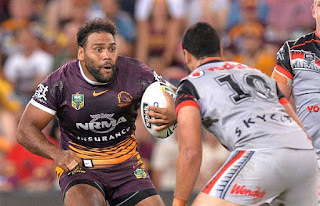 Brisbane have only managed 1 win from their last 5 outing at Mt Smart, lets hope that's about to be 1 from 6. Warriors by 4 in what could well be looked back upon as a season defining moment.